Palestine Neck Scarf / Shemagh / Keffiyeh / Palestine. 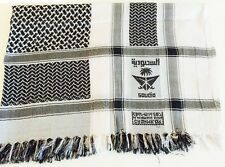 Original Palestine Neck Scarf. Design on scarf is woven into the fabric.it is not printed. TOUR DE COU Multi Usages Protège du vent, du soleil, de la neige MORF VTT MOTO..
MURRY Durag Breathable / Adjustable / Ultra Strech Black. 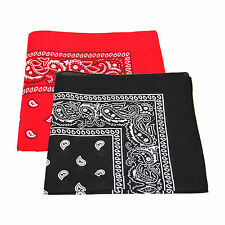 Levis original USA style bandana. Main colour- Black with detailed embroidery. 1 xLiverpool FC YNWA Red Supporters Scarf. The scarf has Liverpool club crest on both ends and features text "LIVERPOOL FC" across the scarf. The scarf will be ideal gift to any Liverpool fan and is perfect for keeping warm during the colder months. M1616 BLACK. Dreadlocks & Braids Cap. Murry Collection. Comfortable / Spandex / Stretchable. 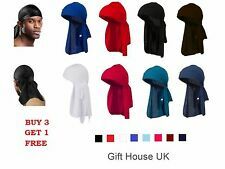 CAN BE WORN IN A MULTIPLE OF WAYS, NECKTUBE, HAT, BANDANA, HEADBAND ETC. LIGHTWEIGHT FACEMASK EASILY FOLDS UP & FITS IN YOUR POCKET NOT BIG & BULKY LIKE MOST MASKS, SAFER THAN A SCARF & MUCH HARDER TO LOSE. 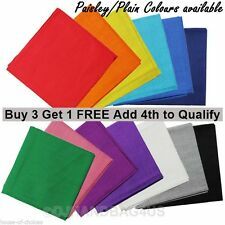 This a quality shawl made from polyviscoae material. Worn as a turban or across the shoulders. Because it's cotton, the fabric will soften with wearing and washing and the pattern will gently fade. We support CRUK, Together we will beat cancer, &. Macmillan, we're with you every step of the way. 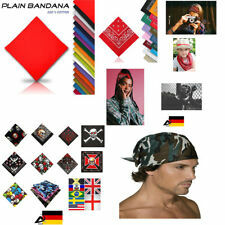 The many uses of the bandana / bandanna are 1 x 100% Cotton Square Bandana Scarf. Cold air can trigger an asthma attack and loosely wearing a scarf around your nose and mouth warms up the air a bit before you breath it in. 1 x Black and White Tube Snood Scarf that can be worn many ways around the head and neck. Cold air can trigger an asthma attack and loosely wearing a scarf around your nose and mouth warms up the air a bit before you breath it in. Fabulous retro pattern which is a favourite of the Mod and scooter scene. This makes the scarf more durable than most of its counterparts resulting in the scarf lasting much longer. These Soho Scarves are a must in any dandy style wardrobe. Alpine Swiss Winter Scarf. Feel cozy, elegant, and fashionable this winter in this stylish scarf or give it as a gift that has a great perceived value. Color Maroon Plaid. Cozy and Warm for Winter. Super Soft Acrylic Material. Cambodia Traditional Scarf For Pagoda Brand New! Guarantee!